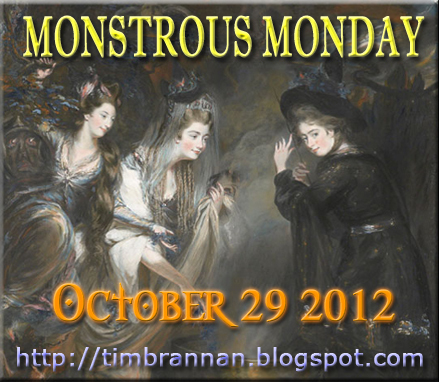 Last Round-up of the Monstrous Mondays! 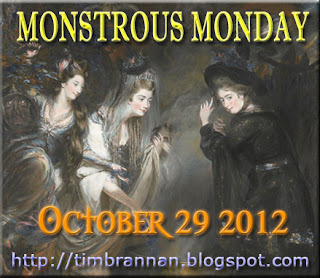 Next week follow the bloghop links to see all the monsters. I am sure there are some I have missed. If so, just let me know. For my Monday entry, I went with rampaging robots over at my blog...!!! fatesf.blogspot.com and everwayan.blogspot.com posted monsters this Monday as well as last week. Thanks for the links. I will get these added. I have up Boneflower Skeletons on my journal. The deliciously disgusting bloat zombie appears on my blog, The Dwarven Stronghold. I know my last couple of Monday monsters have been Mongolian themed, but this coming Monday's will be much more inline with the darker theme of the season (Halloween).